After 15 years in the family, Anthem is looking for a new skipper to take her long range cruising again. She has been well maintained and upgraded regularly over the years, but lately hasn't gotten the cosmetic attention she deserves. With a hardtop fully enclosed by window curtains and an engine waste heat radiator, you can comfortably cruise the ICW into late fall. A custom electrical panel was installed in 2004. An electric windlass to complement the 200ft all chain rode was installed in 2007. The cutlass bearing, holding tank and aft head were replaced in 2011. It's now a fresh water flush electric unit. The house battery bank (4x golf cart) was replaced in 2013. She was hauled for new Pacifica Plus bottom paint in July 2014. On the downside, the sails and running rigging are ready for a refresh. The teak needs lots of love. I am willing to sail Anthem to the West River rendezvous in October if there is an interested buyer. Or, check her out while you are in town. This is an excellent live-aboard cruising boat that isn't being used up to her potential. Make me an offer so that she can be enjoyed by your sailing family! Last Edit: 3 years 7 months ago by anthem. My wife and I live in Tampa, FL and have been looking at Brewer's for a potential boat. Is yours still available? If it is, we would like to gather any more information about it, do you have any more pictures available? We understand that it is snowy and cold where you are now, so this may be a bit more difficult for you. Please let us know, thank you for your time and consideration! 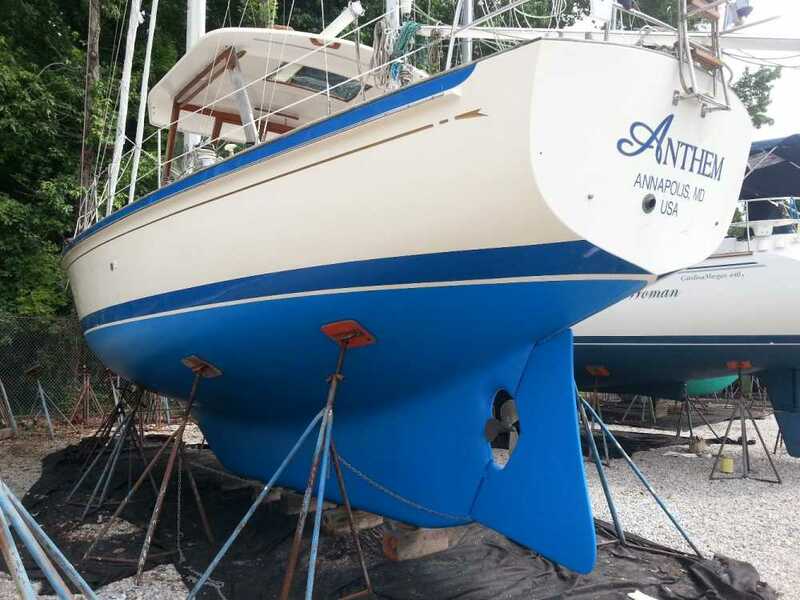 Anthem is now listed with North Point Yacht Sales in Annapolis. Please contact Grady Byus for more information.